Destiny 2 has some pretty big environments, and while the starting LZ in the European Dead Zone is pretty densely populated with stuff to do, you’ll soon come to dread the long trots between story mission and Adventure locations – especially on later Destinations like Io. 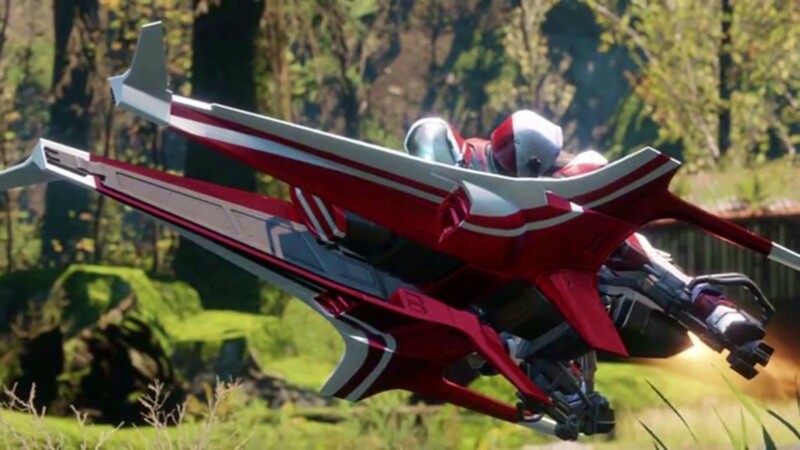 As a result, one of the top questions bringing veterans to our Destiny 2 guide is where you need to go and what you need to do to get a Sparrow – a hoverbike style vehicle taking you from A to B at a much faster pace than your own two feet deliver. It was handed out very early in Destiny 1, but that’s not the case this time. Unfortunately, Destiny 2 doesn’t give you one in the opening few missions. In fact, you aren’t guaranteed a Sparrow until the end of the story campaign. Our advice is to play through Destiny 2’s story campaign as quickly as you can – as Bungie apparently intended – and work your way up to level 20 while ignoring Adventures and other open-world content, so that you can come back and explore it on a Sparrow once you have one and avoid all the somewhat tiresome trotting about. This is basically what we suggest if you want to level up fast in Destiny 2, too. Bungie’s idea, apparently, is that you’ll spend some time exploring and getting to know the environments before you go zipping past them at such a high speed they don’t register, see? Once you have completed Destiny 2’s Red War story campaign and reached level 20, check in with all the vendors and NPCs in the social space for a range of rewards, including a Sparrow. It’s a case of playing through the game, basically – there’s no secret place you can go to unlock it early. If you don’t like your ride, you can find new and shiny Sparrows inside Bright Engrams, Destiny 2’s loot boxes, which can be earned in-game or purchased via microtransaction – after you reach level 20. So, yes, you’re going to have to do some walking for a while. But won’t it be that much sweeter when you get it now?